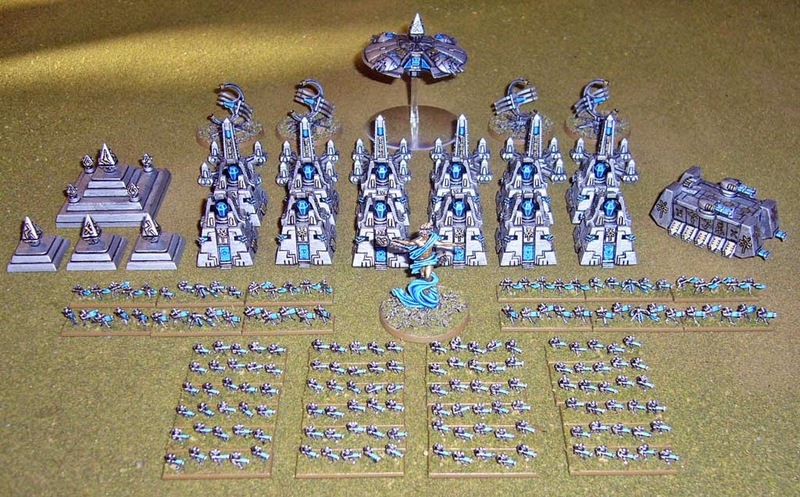 I finally got the bulk of my Death Bots painted up, adding Exodus Wars Edenite models to complete the initial force. 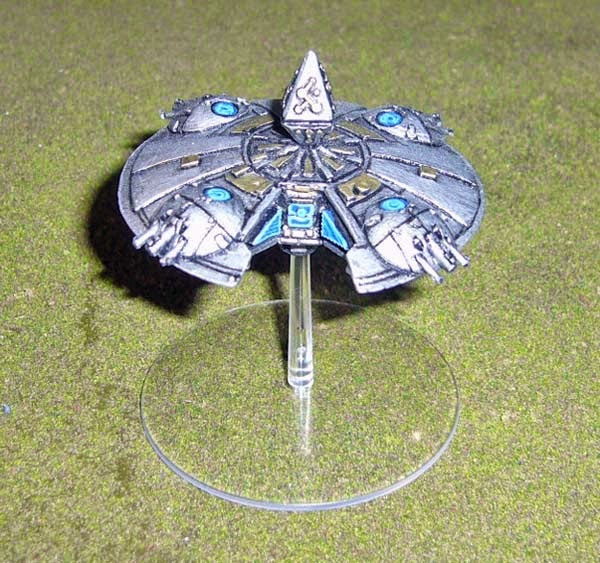 I will probably add more models from the Dark Realm Andrayada range later on. 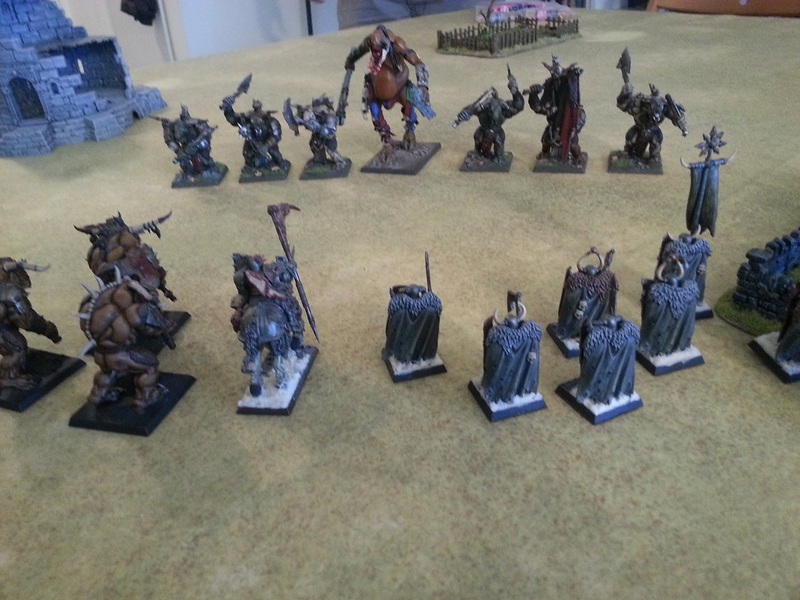 Here's a picture of all the army so far. I've gone with silver, gold and electric blue for the theme. Warriors. 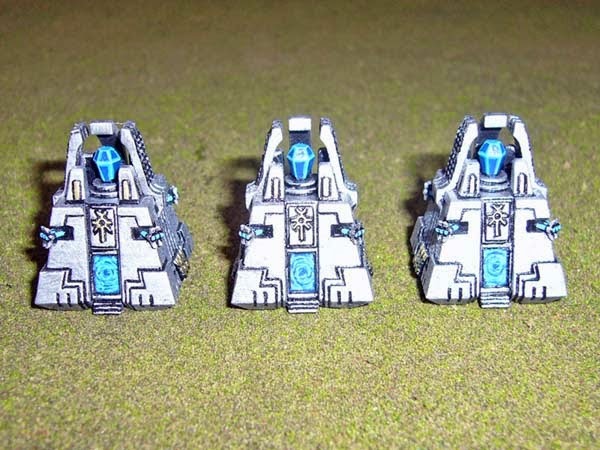 These are from the Edenite Infantry Squad from Exodus Wars. 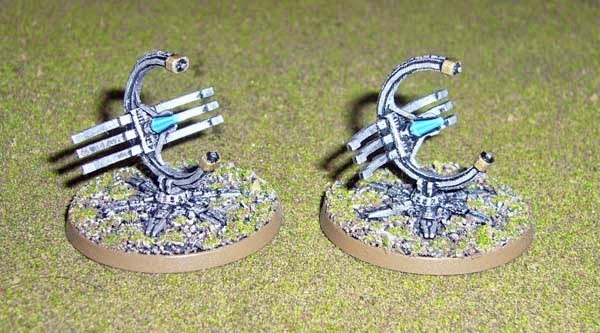 For the infantry I decided a simple metallic drybrush and Lightning blue for the gun would suffice. Heavy Warriors, also from the Edenite Infantry Squad, with a commander from the Assault Squad Range, to be used as Immortals. 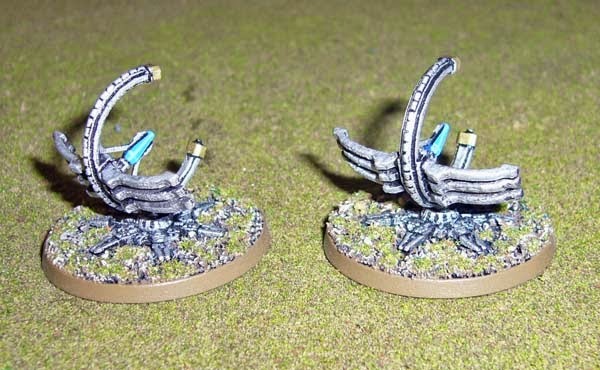 Assault Warriors from the Edenite Assault Squad, to be used as Pariahs. 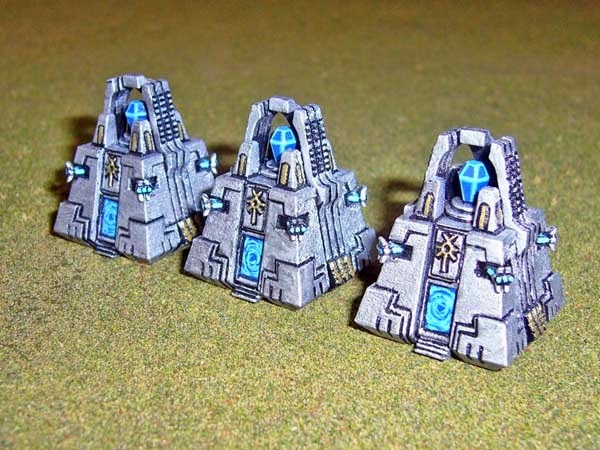 Death Bot War Pyramids. 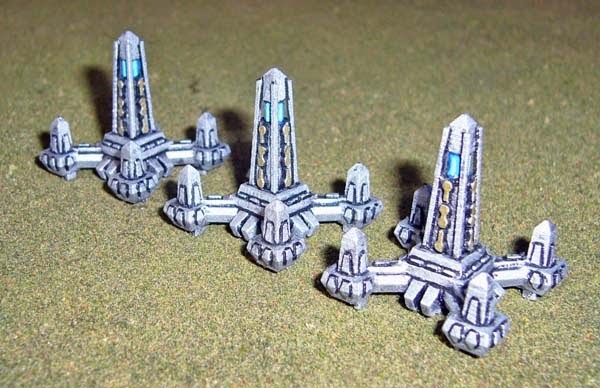 See my previous post for more details on these and the Obelisks, Pylons and Warbarque. Lots of black lining on these, and took some time, with details picked out with in gold and three shades of blue. 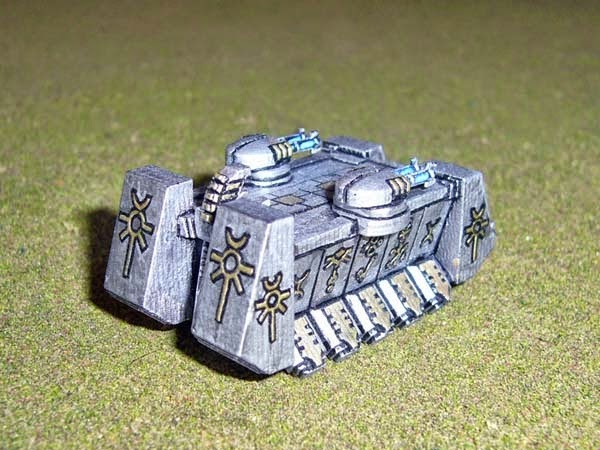 Warbarque, a larger War Engine of the Death Bots. Plenty of blacklining all the symbols on this one! God. "The Deceiver". A master of trickery, able to shift form and appear in many guises. Rumoured to have appeared in human history several times... impressing with miracles and promising great rewards after death to those who worship him, and great punishment after death to those who turn away! While many find it hard to believe that humans could follow such a beast, devotees are numerous, favouring faith in the Deceiver over reason. An Eldar artifact mentions the return of the Deceiver with one line "...and the Jackal-God shall turn brother against brother." 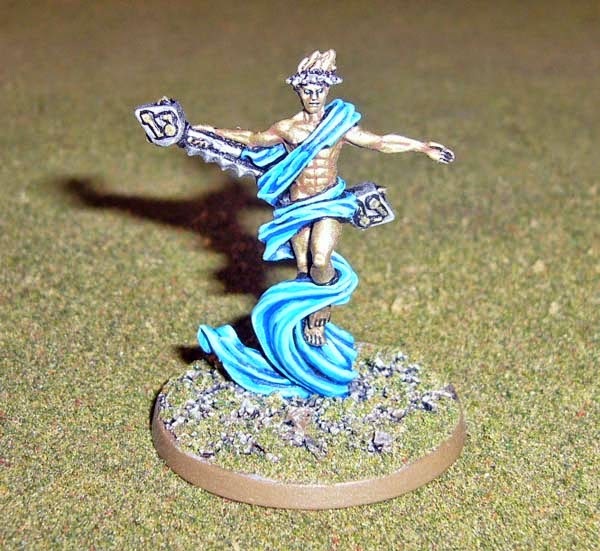 The miniature is Samael from the Hell Dorado range, with cut down Exodus Wars Kazari Kinetic Barriers on each end of his staff. Droid Controller from Exodus Wars. Used as a Harvester Engine. 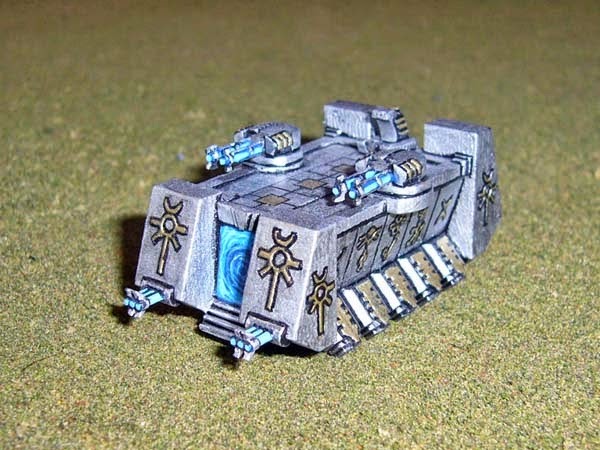 I just painted this up as it comes with no conversions, figuring it looks suitably "Deathbotty". 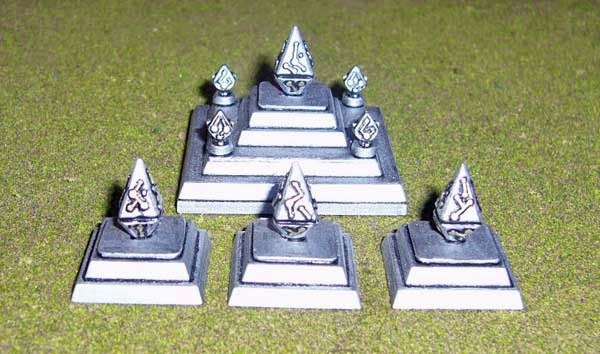 Objectives, including a larger Tomb Complex. 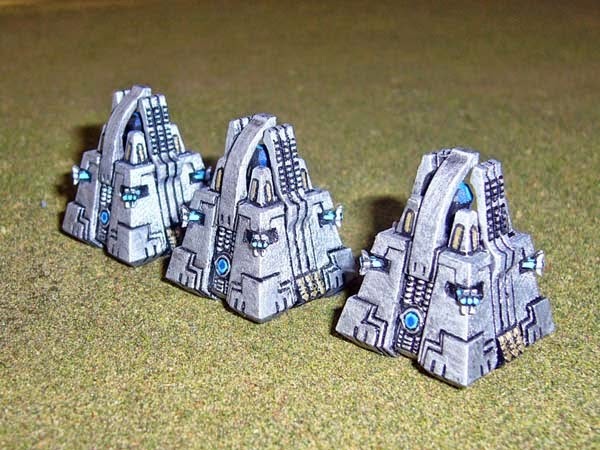 These are just stacked minatures bases, with Kinetic Barriers from the Exodus Wars Components Service added - larger barriers are from the Droid Controller above, and the smaller barriers from the Khazari Raiders. Great being able to buy these bits individually, well done to Exodus Wars for making these available.